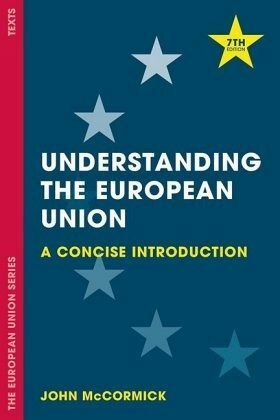 The 7th edition of this best-selling textbook provides a broad-ranging but concise introduction to the EU, covering all major aspects of the European project. This edition takes full account of the current challenges faced by the EU, including the ongoing difficulties in the Eurozone and the rise of euroscepticism, which culminated spectacularly in Britain's decision to leave the Union in 2016. Fully updated throughout, McCormick continues to clearly and succinctly cover the history and institutions of the EU; the underlying principles of European integration; the impact of the EU on its member states and citizens; and the dynamics and effects of EU policies. Going beyond simplifying and summarising key points, McCormick also covers the nuances of principles, politics and policies that are often lost in concise introductory texts. While this text would naturally suit Political Science and International Relations students, McCormick realises that the EU is both a global political actor and the wealthiest marketplace in the world, which means the EU must be studied from multiple disciplinary persepctives. This textbook is packed with pedagogical features and written with minimal jargon and in interdisciplinary terms so as to be accessible for those with no prior understanding of the EU, enabling both Politics and International Relations students and students of other disciplines to have a refined understanding on the EU. John McCormick is Professor of Political Science, Indiana University, Indianapolis, USA, and is author of a number of Red Globe Press's bestselling books in politics, including Comparative Government and Politics (with Rod Hague and Martin Harrop), Understanding the European Union and European Union Politics. 1. What is the European Union?. 2. The Idea of Europe. 3. The Evolution of the EU. 5. The EU and its Citizens. 6. The EU Policy Process.